No other version of daybill has been seen before for these films and it is probable that this is the only version that was printed. Both films were "B" grade at best and it is likely that they did not warrant a full colour daybill. The printers details are clearly shown at the bottom of the poster "F.Cunninghame". In the case of second printings of daybills, the printers name is usually not shown. F.Cunninghame Printers stopped printing movie posters in the late 1950s indicating that these posters would have been printed for the first Australian release. The films were released through IFD (Indepenent Film Distributors) and the logo is clearly shown on the daybills. American posters for these films are full colour and featured spectacular artwork so collectors would hope that the corresponding daybills would be equally impressive. 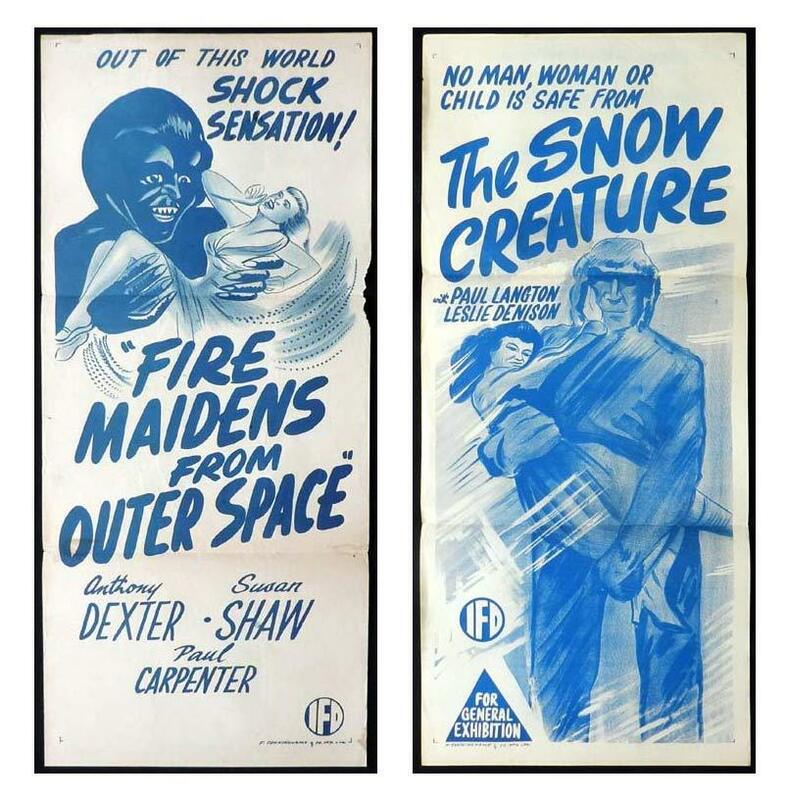 However these posters are the only daybills that have been seen for these 1950s Sci Fi films - both very rare, despite the ordinary graphic art.